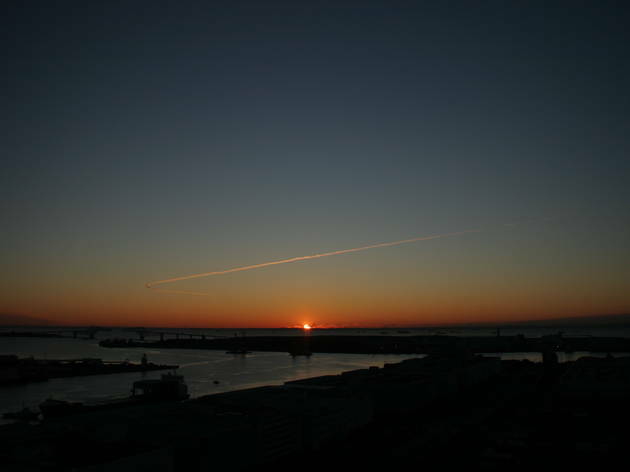 Watch the first sunrise of the year at Odaiba's Telecom Centre Observatory, which opens its doors at 5am in preparation for the main event. The 21st-floor location isn't as impressive as some of the other top sunrise spots in town, but the lack of rival tall buildings nearby means that the views out towards Haneda Airport, the bayside factories and Chiba's Boso Peninsula are as good as any. There are no advance reservations or other fuss – just wear some seriously warm clothes and prepare for queues.